A few mornings ago, we woke up to some commotion around the lodge. Hyenas and monkeys were calling, but we were not complaining. What better way is there to be woken up in the African bush? Upon inspection we discovered a pair of hyenas in the open area near the lodge. These scavengers seemed quite relaxed, following what seemed to have been an eventful night. 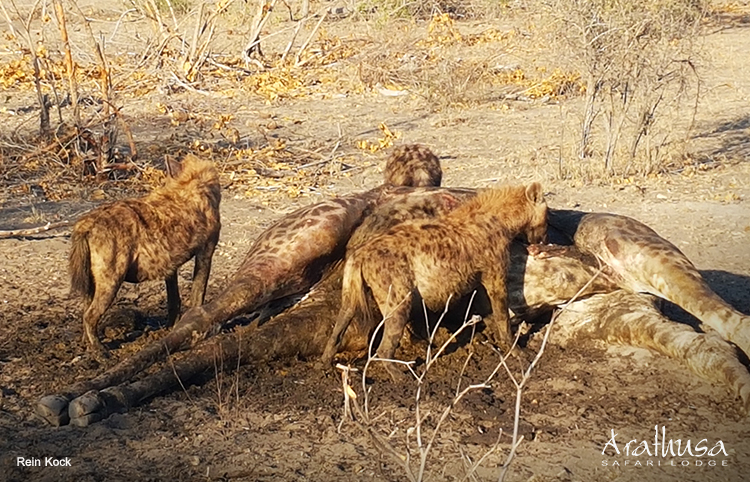 We soon got word that the hyena clan had actually taken down a giraffe bull! 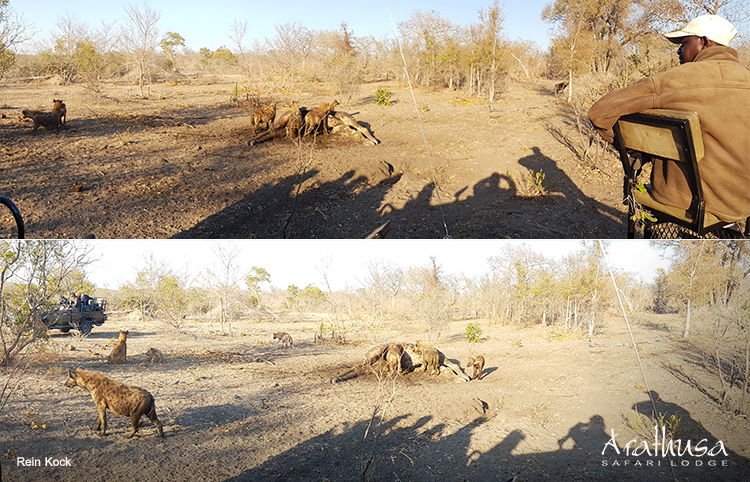 Naturally we rushed to the scene… We were greeted by a sight of almost 20 individuals noisily running around, while others were still feeding. 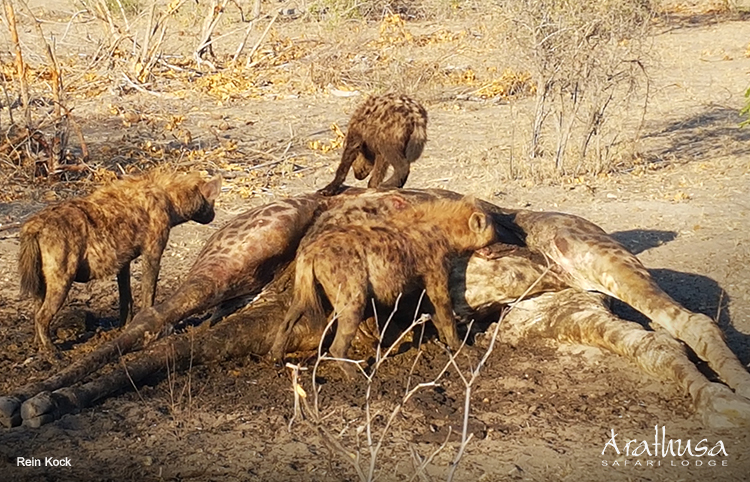 This only proves that with so many mouths to feed, these predators need to bring down something big to ensure all have a good meal! This goes to show that these curious and often maligned animals are very good hunters, contrary to what many people believe. It warms the heart to see the predator population grow. However, with the drought in full swing, we anticipate competition getting tough, even between homogeneous species.